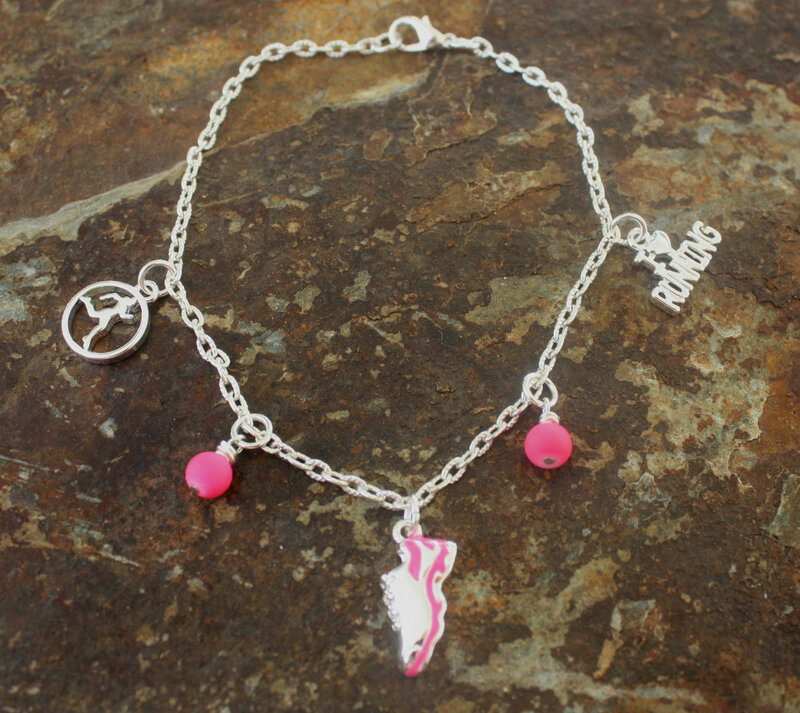 Show your love for running with this Love Your Running ankle bracelet. It includes a running shoe, a runner girl charm and I Love Running charm accented with crystals/stones in the color of your choice. Categories: Ankle Bracelets, New, Running Ankle Bracelets, Running Bracelets, Running Jewelry.